Learning analytics is learner-centred and learner-focused. – How effective is the course? – Is it meeting the needs of the students? – How can the needs of learners be better supported? – What interactions are effective? – How can they be further improved? Elias (2011) states that traditional approaches to teaching and to learning involve student evaluation, the analysis of grades and attrition rates, and instructor perceptions. In turn, the evaluation and the analysis of learning include only (a) a limited quantity of data that students and instructors are willing to share at the end of a course, (b) a limited quality of self-reported/retrospective data, and (c) a delay between the events being reported and the implementation of an intervention. However, Elias (2011) also states that emerging approaches to teaching and to learning involve analytic tools that focus on the selection, the capture, and the processing of data that will be helpful for students and for instructors at the course or individual level. Moreover, learning analytics is focused on building systems able to adjust content, levels of support, and other personalized services by capturing, reporting, processing, and acting on data on an ongoing basis in a way that minimizes the time delay between the capture and the use of data. In brief, learning analytics seeks to combine historical and current user data in order to predict what services specific users may find useful now. Lastly, Elias (2011) explains that learning analytics works to make the most of the modeling capacity of analytics in order to predict behavior, act on predictions, and use the results in the process in order to improve the predictions over time as it relates to teaching and to learning practices. In all, the study and the advancement of learning analytics involves the development of new processes and tools aimed at improving learning and teaching for individual students and instructors, and the integration of these tools and processes into the practice of teaching and learning. This video is about learning analytics pertaining to the US education system. The presentation touches on the need to capitalize on learning analytics in the US education system in order to really put students first. Certainly, the use of learning analytics in our education systems in Canada is already evident. 1. Please watch the video and/or read the article by Elias (2011). – How might learning analytics be useful in your professional context (Everyone is a learner.)? – Share your professional experience(s) regarding learning analytics. – Share your thoughts/opinions about whether you think learning analytics has a place in educational systems. Agreed that feedback to students on his/her performance can be very productive. However there are issues with the use of “Big Data”. It is clear to me that the term ‘Big Data’ in not appropriate in the context of a school whereas it might be in the context of an online venture in education needing generic data. Data analysis at the individual school level needs to be local as mentioned in one of my previous posts for ethical and privacy reasons, as well as for philosophical reasons that relate to citizenship within a democracy an the tendency for governments to standardize with the aim facilitating control. I am of the school of thought that governments are at the behest of its citizens and not the other way around. Content may be standardized through referencing big data, but student performance needs to be guarded as private and of no business to those outside the school community. The debate regarding using big data and safeguarding privacy will continue. But, I suspect that privacy will continue to weaken. After all, many of us use social media sites and other platform that reveal private information. For example, I think that our young generation is seemingly accepting of weakened privacy, which makes it easier for some to use big data. For example, some companies use our online profiles and information for targeted advertising, public campaigning, and so on. Altogether, this growing culture is apparently slowly becoming the norm, and apparently enough people are okay with that. Learning analytics and big data are relatively new in education, but they will be used in order to change/revise/evolve the landscape of public education at the school district level and at the provincial level. Thank you for your contribution to this issue. I agree that big data will continue to play an important role in the evolution (revolution?) of the internet because the monetary payoff can be considerable. But as with the financial industry that evolved with little effective oversight, there comes a point that abuse demands a response in the form of an increased set of rules and restrictions. The survival of democratic institutions will in my estimation, be compromised if deep pockets buy analytics to fine-tune their message to influence public opinion. As with banking, banks continue to be necessary, but with rules attached to safeguard the system. Social analytics probably need similar restrictions on what can be gathered. We in education should be using our sense of what is ethical to restrict the data we use, even if there is no law to restrict access. The point is that we as teachers should probably not participate in profiling based on social media. If there is a counter argument for some reason, the data should remain confidential with regards to the individual, ensuring their anonymity. I am neither for nor against big data and learning analytics. They are here regardless of my perspective/opinion. But, I do agree that privacy and security should be assured and maintained to protect students. However, because learning analytics is fairly new in education, there will be wrinkles that will need to be ironed out, as there always is. That is when rules and guidelines are brought in. This process is usually reactionary. In all, coming from a brutal theocratic republic regime, I am comfortable with the use of big data and learning analytics within a relative democracy even though there are minor or major social and/or political implications. I think that learning analytics has a place in education, but not in our current educational systems. I think that when learning becomes more learner-centred, then analytics can play a roll in deciding where students are at and what they need to do to go forward. This would only work in parts of courses that are personally directed, but “Big Data”, in my humble opinion, does not necessarily belong in a collaborative setting. I would rather have educators talking to their students and observing behavior themselves than allowing “Click Trails” to dictate trends. I personally struggle with the idea of learning analytics as it seems to be “the fix”, but I do not think that it has all the answers. Using it for diagnostic purposes is a great start, but we do need to be careful with “Big Data” and jumping to conclusions about it’s effectiveness. Yes, I think that learning analytics could have value if it is intended to advance student learning, achievement, and success. As for big data, I think that its arrival into education is inevitable because there is a perception that students need a more efficient and a more effective education in order to improve their learning. Whether we like it or not, or whether we agree with it or not, the culture of big data is here and will be used in education. The debate will continue while big data is playing a role in education. @Jetz66: I think you make an excellent point differentiating between the use of learning analytics to personalize and individualize the learning experience and the use of big data to reach trends and draw conclusions on learning. I think we all agree and appreciate the role learning analytics can play in helping teachers adjust their curriculum to the progress of every learner and in scaffolding the learners through their learning journey. We may have concerns here and there about privacy but this can be controlled at school level or being governed by promoting ethical use of learning analytics. The other side of the discussion is the “big data”. The example that comes to mu mind in Duolingo use of their big data to improve the language learning experience. They implement educational experimentation on different approaches to learning to improve their website. For example, they might test whether it’s better to learn nouns first or verbs in a language. So they have 2 groups of learners. One is learning nouns first and the other is learning verbs and through the progress of both groups, they try to reach conclusions, then apply them to their learning experience. Off course the ethical/ scientific validity and reliability of such experimentation is a totally different discussion. But the core idea of using such big data to make conclusions about how people learn in a specific setting is very important and could help advance the educational field. I believe there is some confusion as to the term ‘Big Data’. To me ‘Big Data’ is when the data collected is indiscriminate of what the data contains, but there are algorithms ( analytics ) that sift this mass of data to search for patterns that can be exploited for better or worse. Learning Analytics has little to gain from this opportunistic approach, but should be concerned with evaluating defined data to improve access to learning. Yes, I think that both learning analytics and big data have value in education. Also, issues regarding privacy and ethical use are usually addressed, and protection of privacy and ethics are usually implemented in some form or way. In all, the culture of learning analytics and big data is here to stay for a while and will become more prevalent in education. It is just a matter of time regardless of whether we agree or disagree with either. Most people are willing to strike a balance because the debate or argument regarding either never stops. I strongly agree with this statement. Reading through the Elias article, the strengths and potential of learning analytics become very attractive. A system to genuinely “align interventions to learner need and fully maximize learner success” (Elias, 2011) is one that any educator would agree to. However, the current educational system (at least in Ontario) does not measure learning, but measures achievement of prescribed standards. A thought I’ve had is of the distinction between the use of analytics to address the needs of a learner vs the needs of a group of learners. If we are addressing the needs of a single learner, it would seem that the data is assisting us in creating a system similar to that which Elias is describing. However, if we are using the data in an attempt to address a group of learners, it would seem that we would be using the data to meet an institutional or organizational goal, rather than as an assistance to “learning”. I don’t believe this is truly beneficial to the learner, but rather becomes a chase of more favourable data by the organization. We might use this data to identify an area of need, but the learners must still be addressed individually to ensure learning. I’m still shaping the idea, after thinking about this week’s topic and discussions. Any thoughts and input are greatly appreciated. I think that you and others are absolutely right. LA should work for the benefit of individual learners in order to improve their educational experience so that there is a positive and successful outcome. Otherwise, I think that LA would be misused, leading to organizational competition and ranking. For example, the Foundation Skills Assessments (FSAs) in Grades 4 and 7 work more to rank schools and less to support and to improve student learning. After all, there have been many instances where students were taught to the FSAs rather than taught long-lasting skills that would carry them beyond only the FSAs. This is one example of how data from assessments are misused, which does not really take individual learners into consideration. LA is always at the mercy of those who it incorrectly (or correctly). 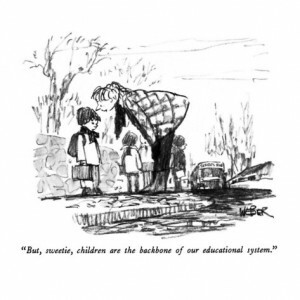 In all, I guess that is the unfortunate nature of the business of education. Hi John and Jetz66, I think you two have hit upon the crux of LA’s potential: real educational reform is dependent on getting entire systems to change and LA is but one component, however key. We can use LA to create personalised learning pathways, to give timely feedback, and predict where learners will have the most success,but when we’re operating within a system designed to sort, measure and rank, the data will be misused and it’s full potential isn’t realised. Your comment “Whether we like it or not, or whether we agree with it or not, the culture of big data is here and will be used in education.” is probably true; but ‘the pendulum swings’ and this fad will pass. Absolutely! That is why I do not concern myself with fads and trends. They are non-issues for me. – How might learning analytics be useful in your professional context (Everyone is a learner)? As a curriculum writer I have already been exposed to one way that Learning Analytics has been adopted by my industry. SmartBook by McGraw Hill (introduced by the Digital Text EMT) combine data analysis with personalized learning methods to improve reading and comprehension. As an ESL teacher, learning analytics could be a crucial tool in better understanding how to improve in-class results for our students. As a market and result driven sector of education, it seems to me that ESL is the perfect testing ground for this emerging learning tool. I think it absolutely has a place in education if it is used for analysis and improvement of pedagogical approach and methodology. However, where it becomes dicey for me is when students become statistics, and teachers performances are judged off certain sets of statistical analysis. In a way, standardized testing is a basic form of learning analytic, and we have already seen what a potentially negative effect it has on education when teacher reputation hinges on these statistics. It’s a slippery slope, and that’s why I think it concerns traditionalists. I happen not to be a traditionalist, so I say analyze on! Yes, the dangers of LA are almost certain around professional performance and reputation, but LA could also improve teaching practices in order to improve student learning. It does not have to be scary if everyone accepts that learning is ongoing and for everyone (both teachers and students). After having gone through my teaching practicums and having worked in three schools so far, I am definitely not a traditionalist either. In fact, I go out of my way to be nothing like a traditionalist. As one tool or strategy in conjunction with other learning tools and strategies I think learning analytics does have a place in schools. However, if relied upon to teach, assess and promote, without other supports, I don’t think it has a place in schools. The human element to education is vital. Collaboration is a key component to learning. How does learning analytics address this part of the learning cycle? How does learning analytics address this part of the learning cycle? LA could reveal what collaboration cannot. Real collaboration should be effective, efficient, informative, and forward moving. Otherwise, collaboration can become more social and less educational. Sometimes collaboration can be long, yielding little or no results. This is not effective or efficient. After all, LA is “the use of intelligent data, learner-produced data, and analysis models to discover information and social connections for predicting and advising people’s learning” (Wikipedia). I can definitely see how learning analytics ‘could’ play a significant role in personalizing learning. However, for most institutions (especially public schools) I think those days are still a long way away. The necessary networks and technologies have not yet been integrated to a great enough extent into the average school day to allow this to happen. There are also significant financial and intellectual barriers to doing so. For these reasons, I think LA may be more popular in the private school or home-based environment – at least in the early stages. When it comes to cost-cutting measures and to downsizing, the public school system is notorious. If LA and big data can cut costs by having students learn more efficiently and effectively, the public school system will be on board. Today, we have higher class numbers, fewer support staff having to do more, fewer but bigger schools to accommodate more students, and so on. If LA and big data can complement this type of culture in order to save or to reallocate monies, it will be done. The present public school system is unsustainable. So, LA and big data could be welcoming by many. The ‘have’ school districts are the first to try out LA and big data. I am interested in using data from individual students to make decisions about their individual programs. The best example I use in my class is the data I get from Khan Academy. Khan Academy provides data about the achievement of each individual learner in your class. Working with small groups of students, I can see in real time, which students are struggling, which areas they are struggling in and what they have done so far to get to where they are. I can see, for example, if a student has made multiple attempts to take on a specific concept and is still at a “struggling” level. At that point I can go and try different strategies to teach the concept and procedure than I used previously, as those clearly did not work for that student. Having access to this kind of formative assessment data in real time is so valuable for educators and would benefit students in all subjects. I’m very excited to see what sorts of technology will be developed for a range of subjects and topics that can provide rich data regarding student strengths and needs. As with all educational technology, it will continue to be up to educational professionals to interpret and make decisions based on this kind of feedback. For those that choose to take advantage of it, it will become an invaluable way of assessing student progress and make decisions about the direction and support students will need moving forward. This is a great example of LA at work. It is delightful to read about positive experiences working with LA, especially if it for the improvement of student learning. The fact that it is real time is an added bonus. I guess that Khan Academy is a trendsetter in many ways, LA being one of them. Thank-you for sharing one of your strategies! This could be useful knowledge for teachers. I like this use of learning analytics as a tool in support of formative solutions to meet learning outcomes. 1.In our Education Department, learning analytics are routinely used by our instructors prior to, and during live delivery of courses in order to gauge student background and experience on relevant and related topics in order to adjust delivery to best meet a particular group’s needs and interests. 2. We gather poll data after every onsite and every virtual class in order to determine student satisfaction with the content, instructor delivery, live training system and if the class is a virtual, on the virtual web and audio tool performance. This is critical actionable data that his highly valued. 3. Learning analytics are particularly important is in the area of student certification. There are two direct applications here. The first is the use of learning analytics to formulate quality certification questions. The second is the use learning analytics to monitor and report of student participation and engagement. More often than not, our students require not only a certificate proving successful completion of the course and exam questions, they also need to be able to prove that they were present for the course. In addition to these three specific examples, there are many more use cases in the corporate training world. I absolutely see benefit to using LA to enhance an educator’s understanding of how the students are learning in a class. I also see great benefit to the use of LA to isolate struggling students with a goal to target specific strategies for remediation. In short, I agree with the use of LA at the school level but have concerns about the distribution of data more widely than that, especially if there are not anonymizing features to the data. I work in healthcare where there are a number of laws governing patient confidentiality. In BC, there is a law FOIPPA- Freedom of Information and Protection of Privacy. See link below if interested. I would have assumed that the same laws govern the use student information. If there are teachers who care to comment, I would be most interested to hear a comment back. The question of how useful big data and learning analytics are can perhaps be best answered with another question. Should tech lead or support teaching practice? I think current educational institutions can use learning analytics to make their content more targeted but the elephant in the room is that schools aren’t really learner centered or about personalized learning, rather they’re about credentialing (and in some cases networking). Sure we want students to learn and we know they’re all different so we should teach them differently but in truth good schools want students to learn the content so they can graduate as many of them as possible. Better schools measure success with additional goals like how many of their students get into Ivy league schools or get scholarships. Almost all schools measure their success relative to other schools, districts etc. Are these benchmarks used by schools really learner centered? I think big data and personalized learning analytics will be most useful when teachers start being replaced by computers and learning happens more independently. Educational models where the content to be learned is fixed and time is variable would work much better than our current time based system of semesters, trimesters etc for big data and learning analytics. I say this because when students know/demonstrate particular content they could move on to the next level. These kinds of models would allow students to complete courses at their own pace. Some would learn faster the slow ones could be supported. Canada is lucky to have what is probably the best public education system in the world. It also has relatively strong teacher organizations and few students so the latter model I proposed is unlikely to take off here any time soon but in the developing world where there are billions of people, little money, low value current credentials, and economies of scale I think it’s only a question of when. For me simply, learning analytics would help me to be more reflective in my practice. I am excited about anything that might help me to do my job better and to reach students in a deeper way. More data about how my lessons are being understood and received would be helpful for this. For my students, we would be able to cater their learning to their interests. Today’s students have a shorter attention span than students before the internet age but they are able to quickly sift through information to find what they are looking for. Learning analytics is one tool that we can use to help education catch up! I think that in order to teach effectively I need to motivate my students to go further and apply classroom topics to their interests. If learning analytics helps I am eager to see how I can apply it. When it comes to education, making individuals efficiently learn at their own pace with the highly autonomous motivation is always an educator’s ideal and ultimate goal. “Learning analytics” is a new concept in the educational field which I haven’t heard too much of before. However, if it can help accurately predict learners’ needs of support and engagement through analyzing the learners’ context, characteristics, and prior knowledge to find clarified resources, and produce precise target-knowledge according to the “data analysis”, then tailoring personalized learning by adapting learners’ capabilities to improve the achievement of learning will be the true story. With new technology, the optimal learning outcomes will develop along with various instructional designs which will finally prevent the wasting of time, money and energy for the learner and even the educator. However, implementing the precise data analysis is critical to make learning analytics a success.